May 18 thru May 21 at Eldon Roark Tennis Center, 1500 Finley Rd. Memphis, TN 38116. Conducted by Steve Smith and associates. Players, parents, pros and friends of tennis are welcome. PTR & USPTA educational points available. Friday & Saturday evening get-togethers organized. On-court-off-court seminar style with open forum and Q & A. Attendees may request to share pertinent content to add to the educational merit of workshop. Schedule-Thursday, 5:30-8:30 pm; Friday, 9 am-12 noon & 1:30-5:30 pm. Saturday, 9 am-12 noon & 1:30-5:30 pm; Sunday, 9 am-12 noon. Pricing-$200 for adults or $40 per three/four hour session. • $100 for juniors accompanied by parent and/or coach. Junior program will interface with workshop. • Optional $125 fee for attendees to have essential strokes filmed & critiqued. Personalized tape produced. Contact For More Information and Registration-* Out of town attendees contact Steve (smiths10s@aol.com) (813-966-2607). * Local attendees contact Arnold Thompson athompson@tennismemphis.org(901-596-0637).  NOTE: (Currently enrolled in Tennis Memphis programs) For Tennis Memphis parents and juniors: Parents – $25 per day & Juniors – $15 per day. For players currently enrolled in 140+ and 80+ programs- No charge for students and parents.